Happy Friday!! It has been a bit of a crazy week with a couple papers I had due, so I am looking forward to the weekend and a new week! I have a super fun card to share with today. The star of this card is definitely the Retro Fresh Designer Series Paper. I have seen these starburst cards all over the place, but I just learned an easy way to achieve the look a couple of days ago. All you have to do is cut a rectangle (mine were 1-1/2"x3") and then cut that diagonally corner to corner. So out of one piece of of paper, you get two starbust pieces. Then you just line up the pieces in the center. Sooooo much easier than it looks! In addition to the Retro Fresh Designer Series Paper, I also used some Gold Fancy Foil Designer Vellum pieces (love this stuff!). The focal point of this card is where all of the starbust pieces meet. 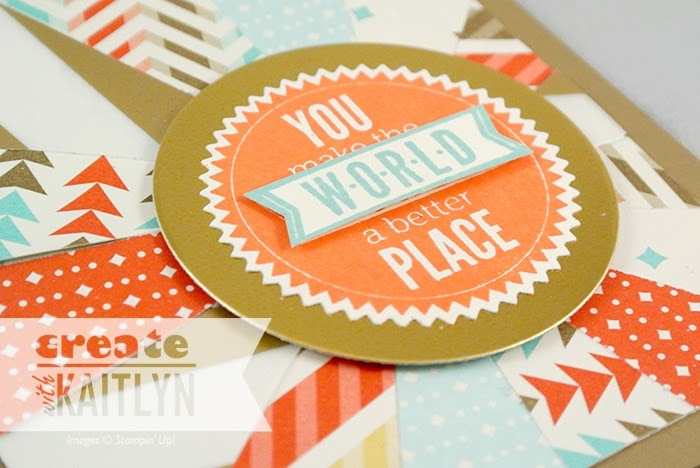 I stamped the image from the Starburst Sayings stamp set twice, once in Tangerine Tango and once in Pool Party. The Tangerine Tango Piece is cut out using the Startburst Framelits (get the stamp set and dies as a bundle), and the Pool Party piece was hand trimmed with my Paper Snips. 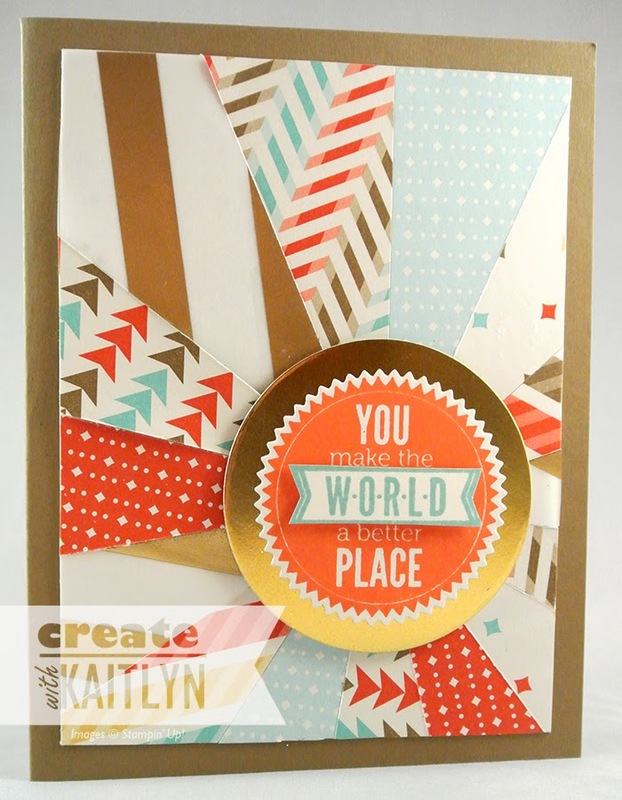 Backing the stamped image with a piece of Gold Foil Sheet is perfect to bring this card all together!